Eclat-International is a specialist in providing holistic solutions to strategic matters regarding Immigration and efficient student consultancy services. We excel in the art of handling applications of all types of visas, work permits, sponsorships and settlements. Highly Skilled Migrants Schemes, Business Migrations, Entrepreneurs, Investments, Students, Visitors, Holidaymakers, Permanent Residence, Nationality and much more. Eclat-International primarily deals in immigrations for UK, New Zealand,Europe, Canada and Australia, but can help you with visit visas all over the world. In students consultancy it can help you over 100 different colleges and university world wide as it has affiliation with them. 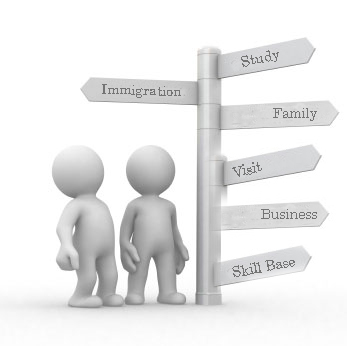 In addition, we can help you make appeals at the Immigration and to the tribunal ends. We can also propose your rejected cases to the Federal Court of Justice in Canada.We are also running our well established institute in Sargodha,Pakistan Since 2000.We prepare students for IELTS,TOFEL and offering English Language courses.